Discussion in 'Forum Introductions (Who are you!?)' started by AlaneM, Jul 27, 2018. My name is lailat, usually called Alan. I am french and i joined the forum from France (so be kind with my English please). I am an engineer in nuclear safety and i have decided like many here i guess to change lane, from slowlaners to fastlaners. The millionaire fastlane recalibrated my perception of the world, my world and i don't want to let others decide for me anymore nor to pray to reach the end of the month quickly to collect my paycheck which helps me only to pay bills, debts and fuel for my car for work. Unfortunately french and american system don't exactly work the same according to entrepreneurship but the goal is the same and i want to catch the next exit to leave differently and happily, free from society rules and the 5-2 days trade which is literally Killing me as days pass. I am alone in that project since i don't discuss my life and its decisions with siblings or friends. Join this forum is the first step i have made towards change, so i need tolerance and help to rebuild my future and be among the fastlaners. The good news is that i am a dedicated and hardworking woman, i have won challenges in my life i never thought i could so i am convinced that with good Tools, i will won this one. Thanks to MJ for this extraordinary book, he (the man) is definitely a gift and thanks for accepting me here. lowtek, MJ DeMarco, jon.a and 1 other person like this. You have stepped into a land of gold.This place changed me for better. 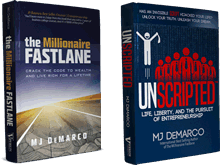 Reading two books written by Mr.Demarco is the first thing you should do if you haven't already.If you are then apply that knowledge and right way go on to forge the process. 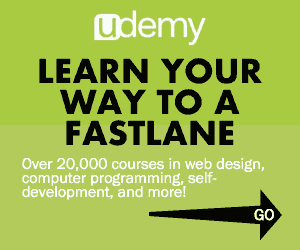 Changing from whatever the lane to fastlane first happen in one place.You know where is it? It's in your mind.But it took good amount of time for me to have that shift, but for you it might not take that much of time.When that shift happens you see the world in a different perspective and no one could stop you from achieving success except when you die! Welcome aboard Alane, the French version of TMF should be out soon! Hello Lailat, bienvenu sur le forum, content de "voir" un compatriote. J ai vu ton msg sur le thread "CHECKLIST: How to Start a Digital Marketing Agency & Hit $5K in Less than 90 Days" à propos de la création de documents juridiques ou de structure. Ca paye pas de mine mais c'est pas cher, rapide et efficace. J avais comparé avec d'autre entreprises du meme genre mais je regrette pas mon choix. Merci beaucoup. En effet ça fait plaisir d'avoir de la famille dans les parages.